Tendero, A. (2006). Facing Your Selves: The Effects of Digital Storytelling on Teacher Education. 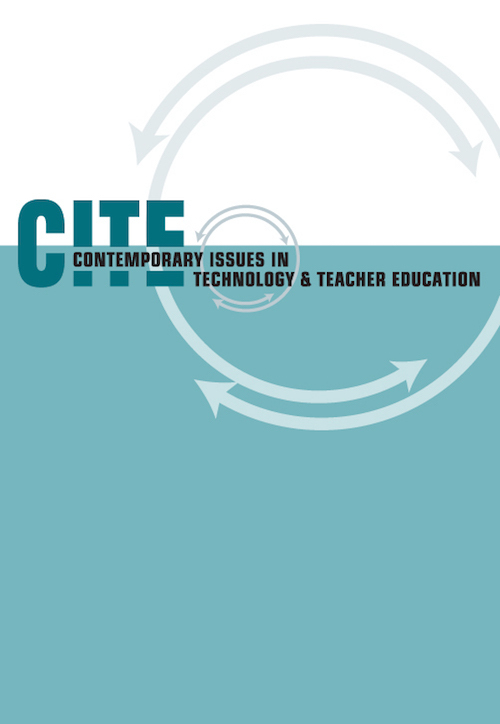 Contemporary Issues in Technology and Teacher Education, 6 (2), 174-194. Waynesville, NC USA: Society for Information Technology & Teacher Education. Retrieved April 26, 2019 from https://www.learntechlib.org/primary/p/19852/. Atwell, N. (1998). In the middle: New understandings of writing, reading and learning with adolescents. Portsmouth: NH: Boynton/Cook. Baff, S. (1 9 9 7) Realism and naturalism and dead dudes: Talking about literature in 11th grade English. Qualitative Inquiry, 3 (4) , 468-490. Ajayi-Dopemu, Y., Talabi, J.K. (1986). The effects of videotape recording on microteaching training techniques for education students. Journal of Educational Television, 13 (4), 86-92. Banaszewski, T. (2002) Digital storytelling finds its place in the classroom. Information Today, 4 (2), 3-5. Britzman, D. (1992). Practice makes practice: A critical study of learning to teach. A lban y : SUNY Press. Calkins, L. (1986) The art of teaching writing. Portsmouth: NH: Heinemann. Denzin, N.K. (1996). Punishing poets. Qualitative Sociology, 45 (1), 25-40. Draper, A., Puidokas, C., Schaafsma, D., Tendero, T., & Widmer, K. (2001) Telling teaching stories: The importance of shared inquiry in beginning to teach. California English, 15 (3), 6-8. Dudley-Marling, C. (1997). Living with uncertainty: The messy reality of classroom practice. Urbana: National Council of Teachers of English. Fecho, B. (2001) “Why are you doing this?”: Acknowledging and transcending threat in a critical inquiry classroom. Research in the Teaching of English, 36 (3), 9-3 7. Fleischer, C. (1996). Composing teacher research: A prosaic history. Albany: SUNY Press. Foucault, Michel. (1995). Discipline and punish: The birth of the prison. New York: Vintage Books. Geertz, C. (1990). Works and lives: The anthropologist as author. Stanford, CA : Stanford University Press. Lonoff, S. (1997). Using videotape to talk about teaching. ADE Bulletin, 35 (1), 22-30. MacLean, M. & Mohr, M. (1999) Teacher-researchers at work. Berkeley, CA: National Writing Project. McLellan, H. (1999) Online education as interactive experience: Some guiding models. Educational Technology, 21 (2), 34-37. Mellon, C. (1999) Digital storytelling: Effective learning through the Internet. Educational Technology, 21 (2), 38-42. Michie, G. (1999) Holler if you hear me: The education of a teacher and his students New York: TC Press. Ndebele, N.(1994) South African literature and culture: Rediscovery of the ordinary. Manchester, UK: Manchester University Press. Pineau, E.L. (1994). Teaching is performance: Reconfiguring a problematic metaphor. American Educational Research Journal, 23 (4), 54-61. Richardson, L. (1994). Nine poems: Marriage and the family. Journal of Contemporary Ethnography, 2 3 (1), 3-14. Skilton-Sylvester, P. (1999). Teaching without charisma: Using questions to guide students’ inquiry into their urban neighborhood. In C. Edelsky (Ed. ), Making justice our project (pp. 323-330) New York: National Council of Teachers of English. Smith, D. (1996). Peer coaches' problems with videotape recording for teacher observation. Action in Teacher Education, 17(4), 18-27. Vinz, R. (1996). Composing a teaching life. Portsmouth, NH: Boynton/Cook.